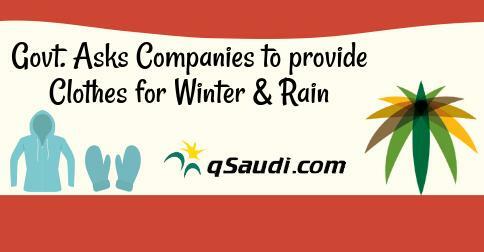 Employers Asked to Provide Warm Clothes for Cold Weather. The Ministry of Labor has asked all companies to provide suitable protection to their worker by providing suitable clothing for extreme low temperatures and rain. As per section 8 of Ministerial decision on labor working conditions, the employer is obliged to provide suitable protection against extreme weather. The employer should not force worker to work outside in extreme heat or cold. For this reason, all companies were required to give break to labors in the afternoon in summer. The Ministry of Labor has said that it will conduct inspections to ensure that worker safety & health rules are being maintained.